These disposable pipettes made in low density polyethylene have a bulb and graduations also. These pipette have excellent reproducibility of the No. of drops per milliliters thus making them a best option for distributing aliquots of liquid portions.The Long slender tip guarantees precision transfer of the sample. 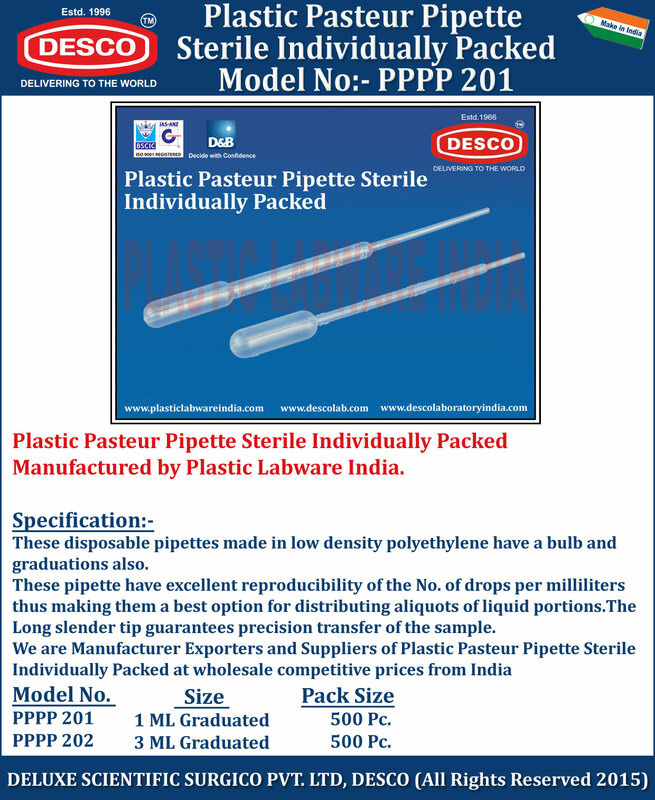 We are Manufacturer Exporters and Suppliers of Plastic Pasteur Pipette Sterile Individually Packed at wholesale competitive prices from India. PPPP 201 1 ML Graduated 500 Pc. PPPP 202 3 ML Graduated 500 Pc.